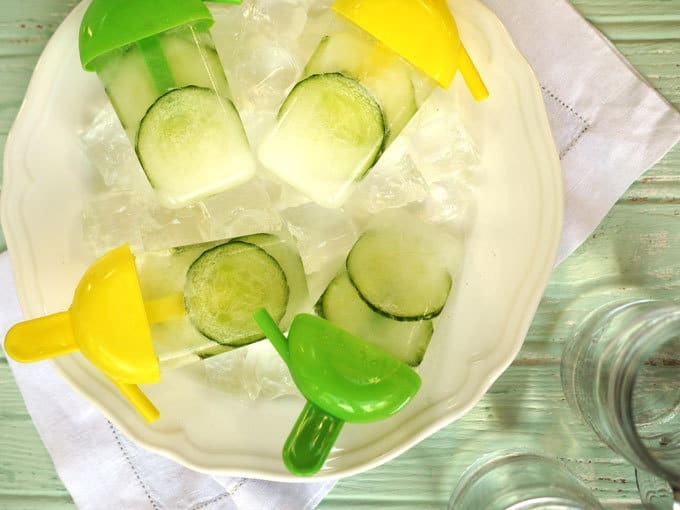 The perfect popsicle grown up summer cooler. 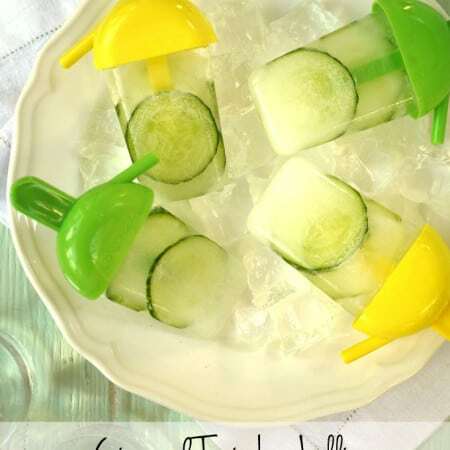 Gin and Tonic ice lollies! It’s bank holiday weekend, hurrah! 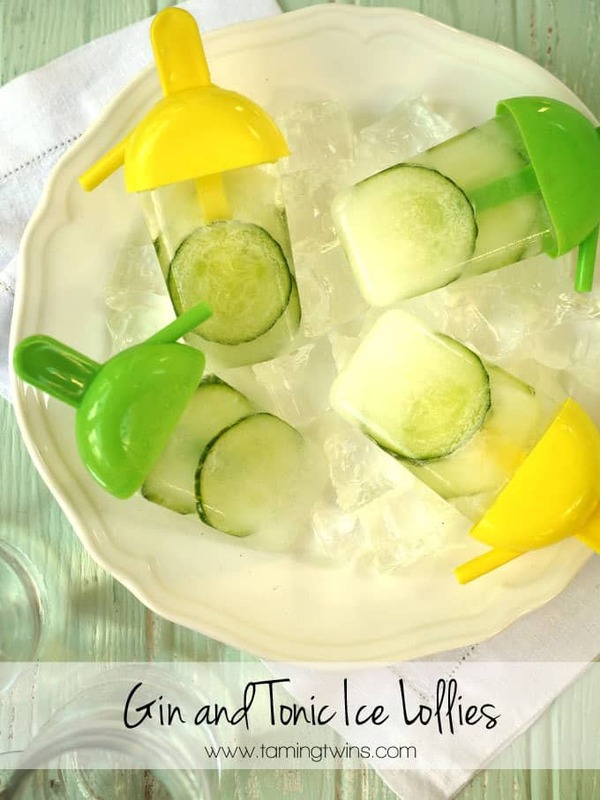 After fairly rubbish weather this summer, the sunshine is due out this weekend and how better to celebrate than with gin and tonic ice lollies. Cooling, refreshing and well.. GIN. And if it rains? Who cares, these popsicles will make it all better. I love a good gin and tonic. When I first started drinking it, in my mid twenties, people occasionally looked at me like I could be Pat Butcher drinking in the Queen Vic. These days it’s totally socially acceptable, even, dare I say it, a bit hip. There’s gin festivals popping up everywhere and more different independent distillers crafting the botanical spirit than you can shake a bottle of tonic at. I originally photographed this recipe for Netmums and I have to say, stereotypical as it is (mother’s ruin and all that) but us Mums do love a gin. These make it perfectly socially acceptable to quaff your quota at lunchtime I say (perhaps not whilst in charge of children). Do make sure that you leave your tonic to go flat before freezing if you can help it. It stops everything bubbling up as you fill the ice lolly moulds and gives a nice smooth finish to the outside of the lollies. The best way to make the perfect amount of these is to fill one of your ice lolly moulds with water, then weigh it. This will tell you how many millilitres of liquid each mould holds, so 100g = 100ml. So if you want to make 6 lollies, you need 600ml of mixture, still with me? 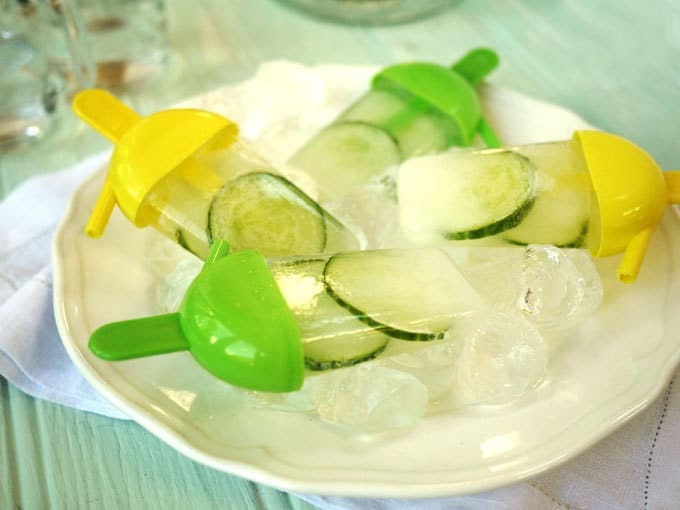 An adult only gin and tonic lolly for a hot summer day. Please read the notes above about volume! Mix the gin, tonic and lime juice. 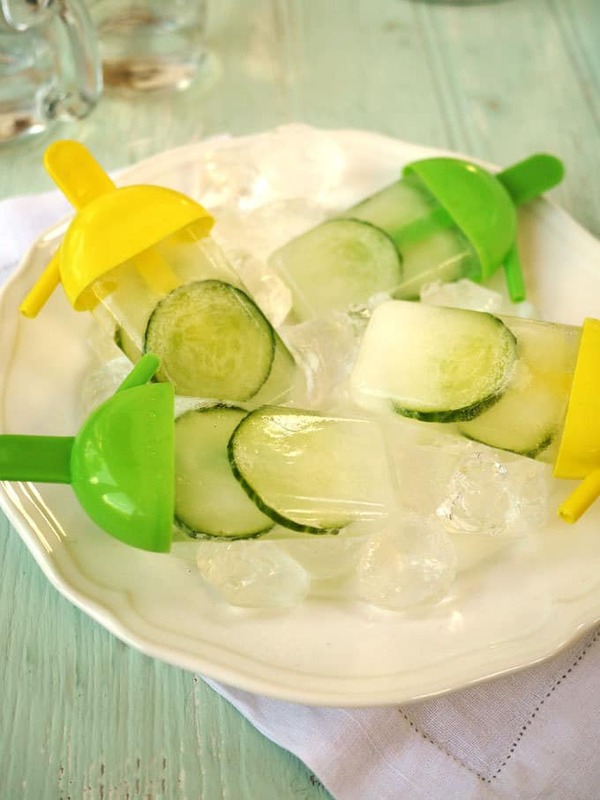 Share between your moulds and pop a couple of slices of cucumber into each. Look for some more gin spiked dessert inspiration? How about… Raspberry Gin Trifle from Foodiequine, Gin and Lime Cake from Casa Costello, a Vegan Gin Gooseberry Jelly from Family Friends Food or Gin and Tonic Madeira Cake from It’s Not Easy Being Greedy. Find more ice cream and frozen goodie ideas, visit Bloggers Scream for Ice Cream. Oooh I do love grown up ice lollies, they can’t all be for the children! Lovely! These look absolutely delicious and so simple – great idea!